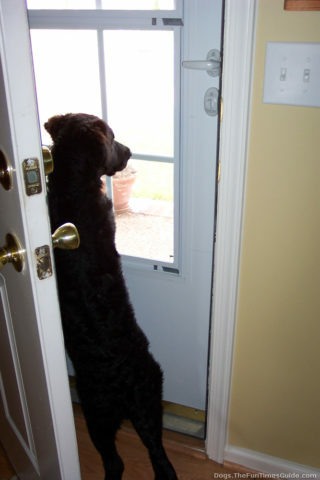 Does your dog bark every time the doorbell rings? Here’s how we trained our dog to stop barking at the doorbell. A dog that barks at the doorbell is especially challenging at Halloween. However, you can look at it as a headache… or as a valuable dog training opportunity! This video shows how to take advantage of the constantly ringing doorbell on Halloween night and use it in your favor to train your dog to stop barking every time the doorbell rings. More Halloween dog training tips!